It is the grand finale that always leaves a lasting impression. 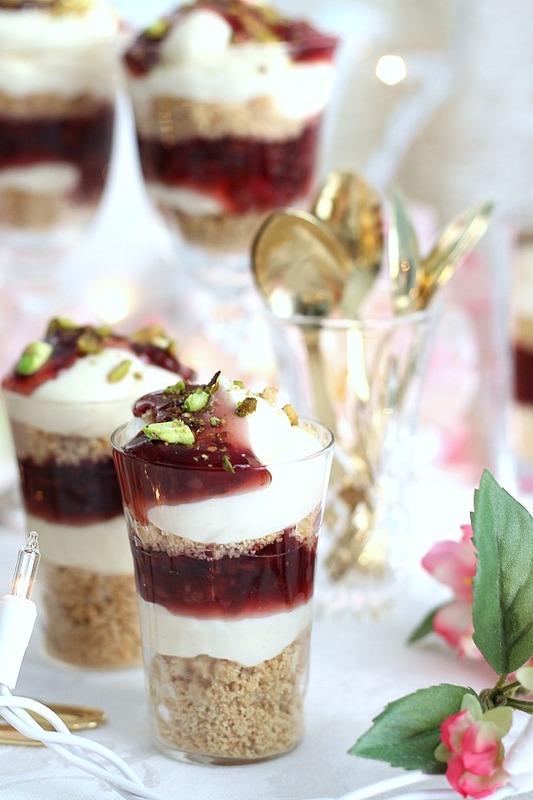 And dessert is the perfect ending for any meal, casual or fancy. 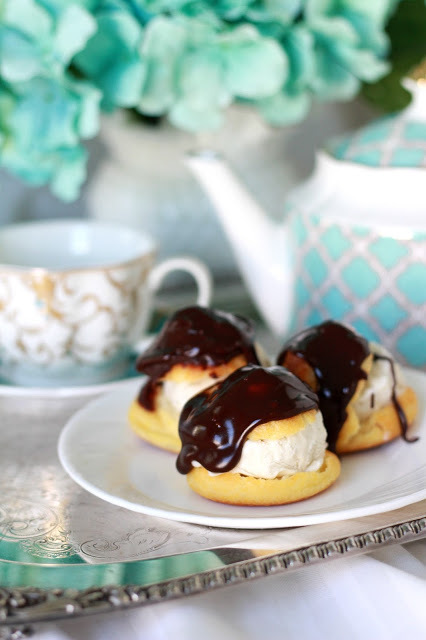 A great dessert doesn’t have to be difficult or time consuming. 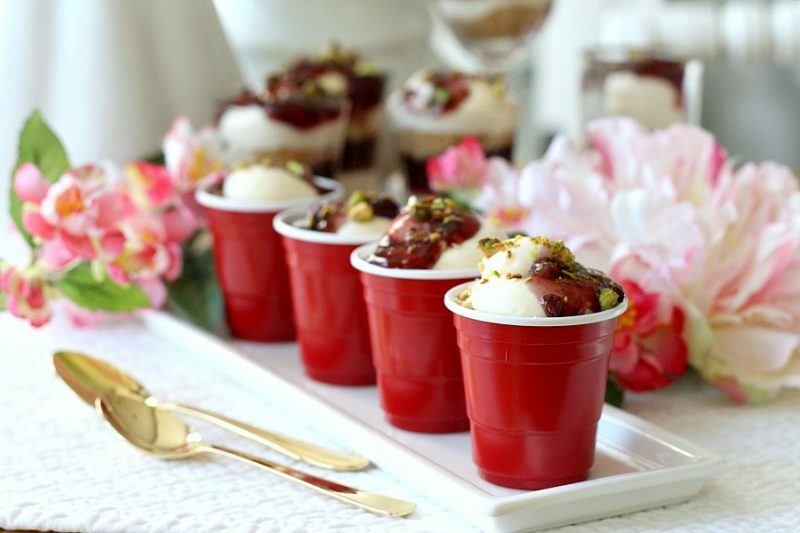 No-bake Raspberry and Pistachio Cheesecake Parfaits are pretty, taste delicious and are so easy to put together. 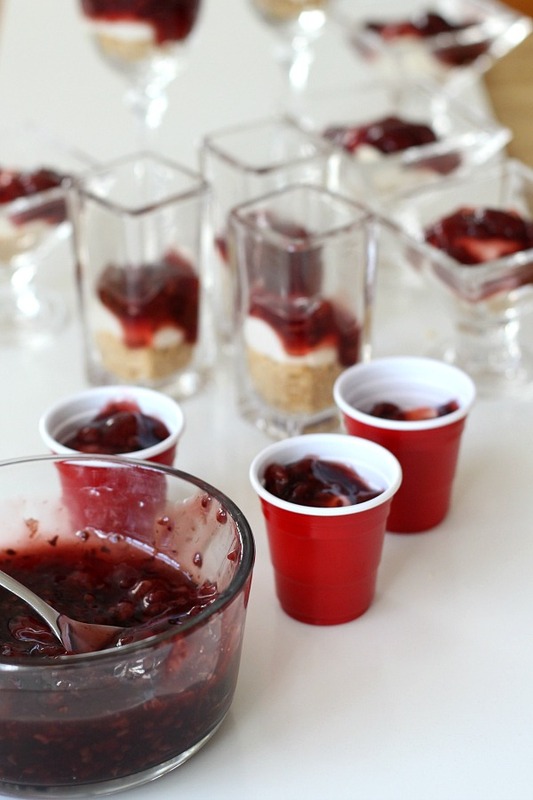 Make tiny, shot-size shooters or fill you fanciest glasses for an elegant presentation. Change the fruit pie-filling or use fresh fruit. It is up to you and it is all good! 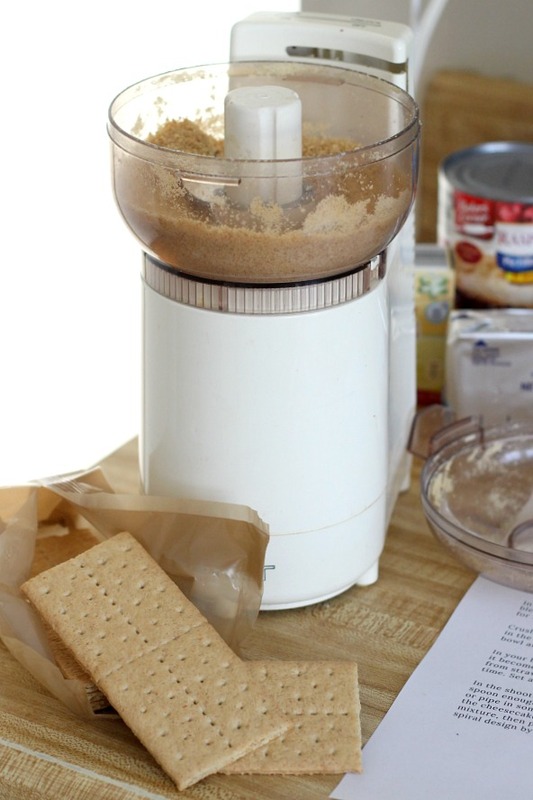 Use a food processor to make crumbs or simply add the graham crackers to a zip-top plastic bag and crush with a rolling pin. Make sure the crackers are all crushed and you have uniform-size crumbs. Toss until evenly coated; set aside. Combine the cream cheese and sour cream until blended. Add the pudding mix, sugar, vanilla; mix until combined and smooth. Chill in the refrigerator. 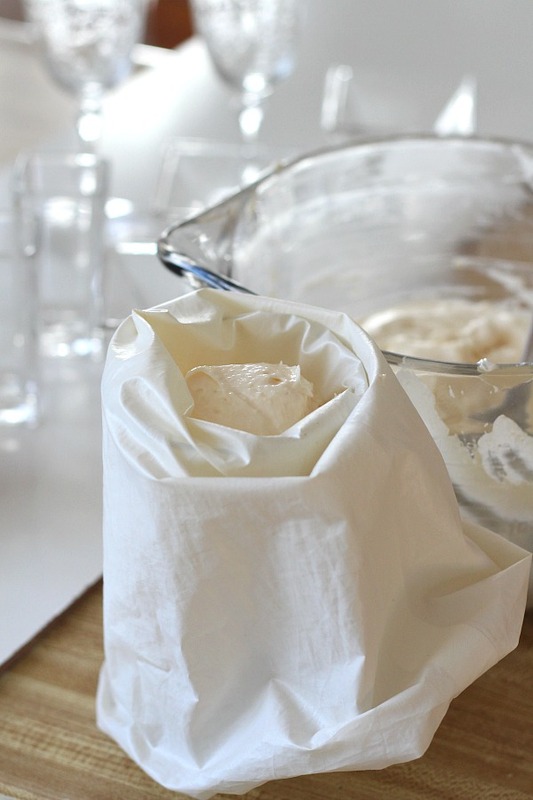 Spoon the cheesecake mixture into a piping bag with a large opening tip. 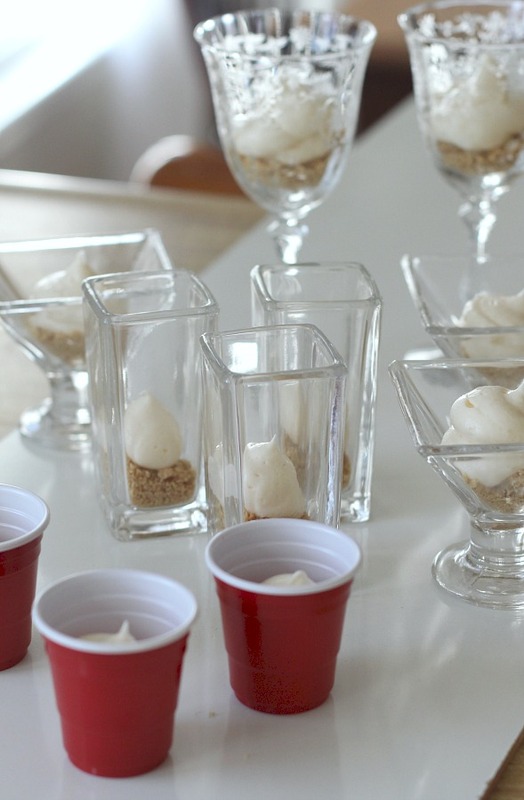 In the mini dessert cups, wine glasses or whatever you may be using, spoon enough graham cracker mixture to cover the bottom. Then spoon or pipe in some cheesecake mixture. Spoon in enough pie-filling to cover the cheesecake mixture. 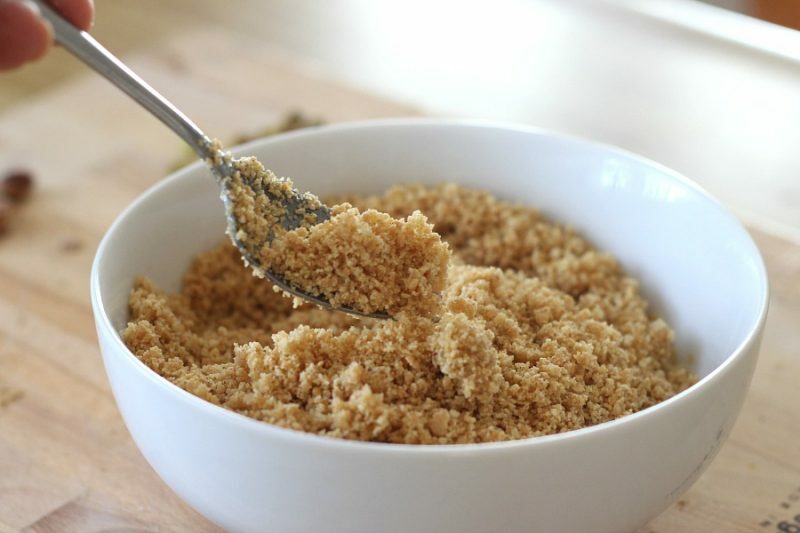 Then spoon on a second layer of graham cracker crumbs and cheesecake mixture. In mixing bowl combine the cream cheese and sour cream until blended. 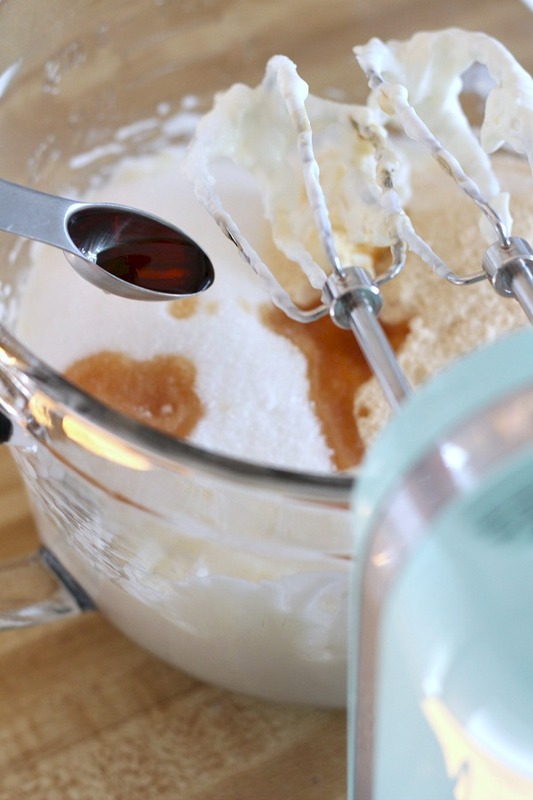 Add the pudding mix, sugar and vanilla; mix on medium speed for 3 minutes more. Chill in the refrigerator for at least 15 minutes. 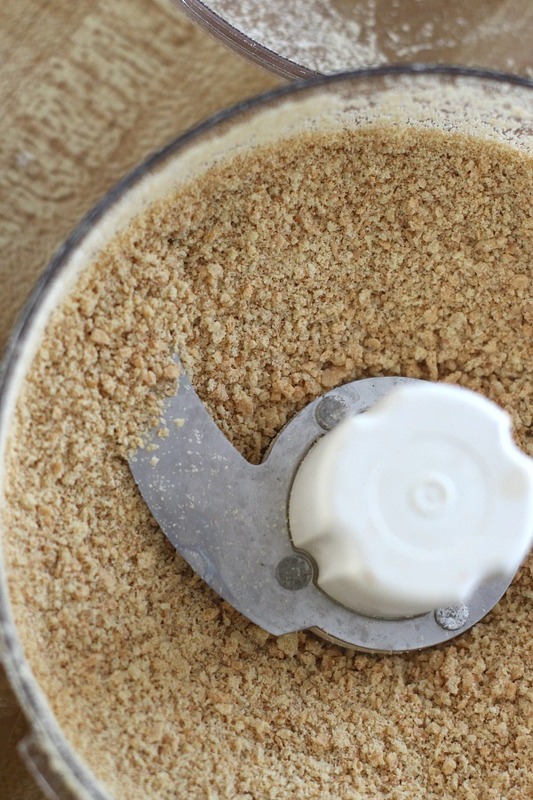 Crush the graham crackers in your food processor or with a rolling pin until crumbs. 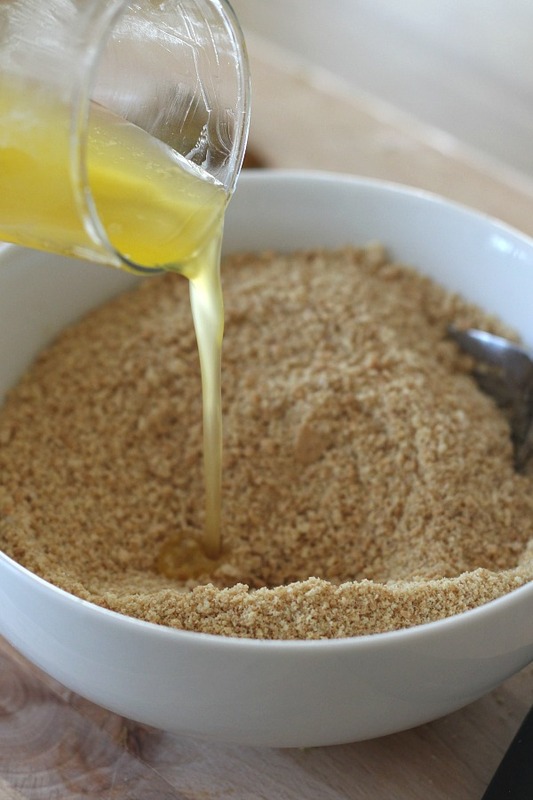 Stir in the butter and 1 tablespoon sugar until combined. Place in a small bowl and set aside. If you are using cherry or blueberry pie-filling, you can make it more of a syrup by blending in a blender or food processor until there are no large chunks left. This is optional but works better if you are using very small serving cups. The raspberry pie filling is already the right consistency. 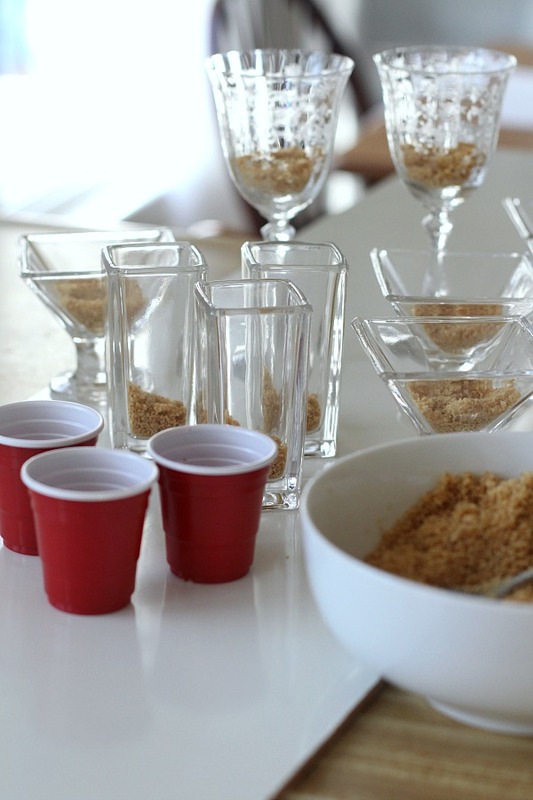 In the mini dessert cups, wine glasses or whatever you may be using, spoon enough graham cracker mixture to cover the bottom. Then spoon or pipe in some cheesecake mixture; spoon enough pie-filling in to cover the cheesecake mixture. 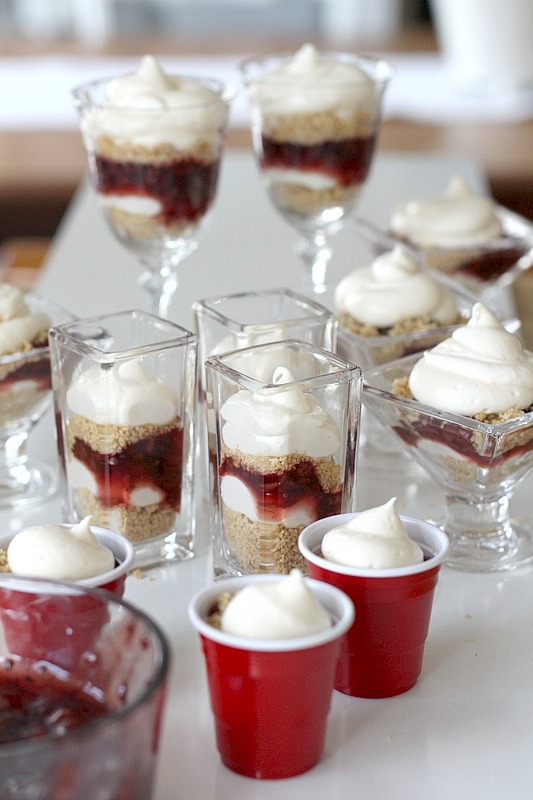 Spoon a second layer of graham cracker crumbs, cheesecake mixture and a dollop of fruit filling on top. 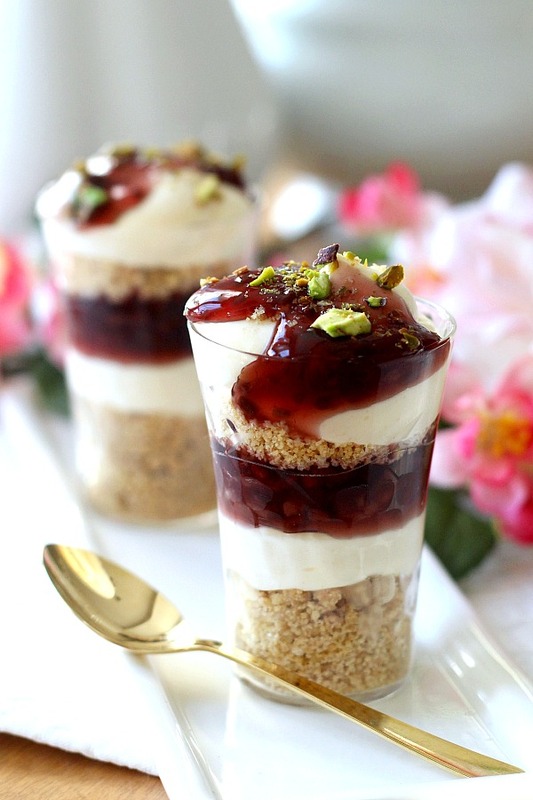 Garnish with pistachios and serve. Refrigerated leftovers. Hi Lorraine, Oh these look so delicious and pretty! We love pistachios. Hope you have a nice weekend. Those look so good. It seems like the only time I ever make a dessert is for holidays . I should do something about that.